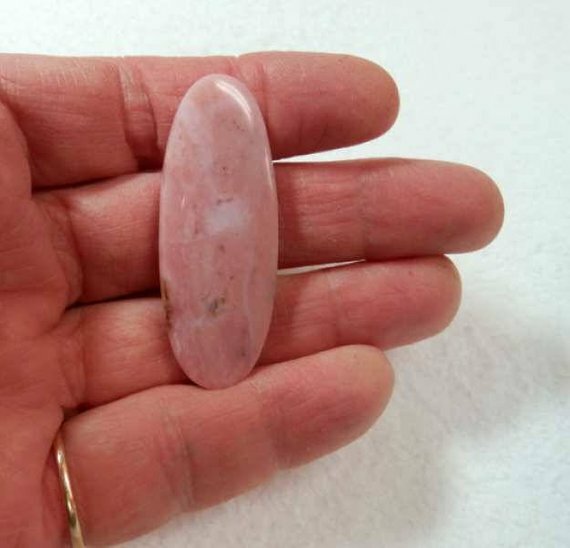 Peruvian Pink Opal Large Elliptical Designer Cut Cabochon Pink Hand Cut Opal Cab. What a beauty! 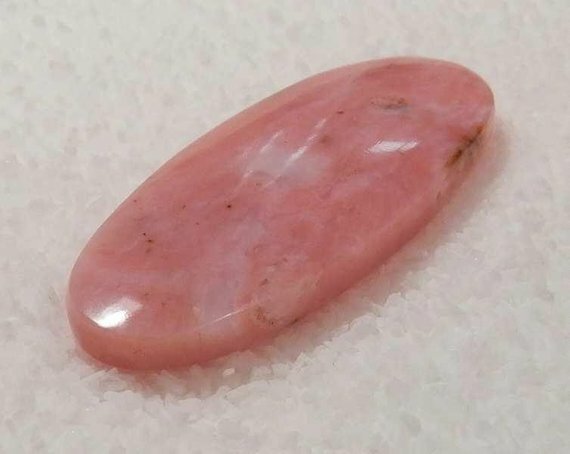 This large Designer Cut oval cabochon of Peruvian Pink Opal is perfect for your custom designs. 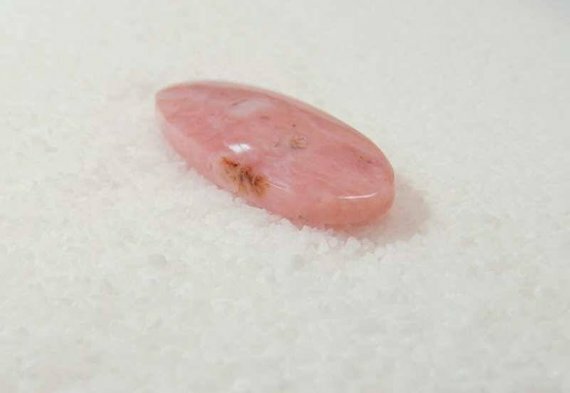 Soft "old rose" color is lovely and the size is amazing. 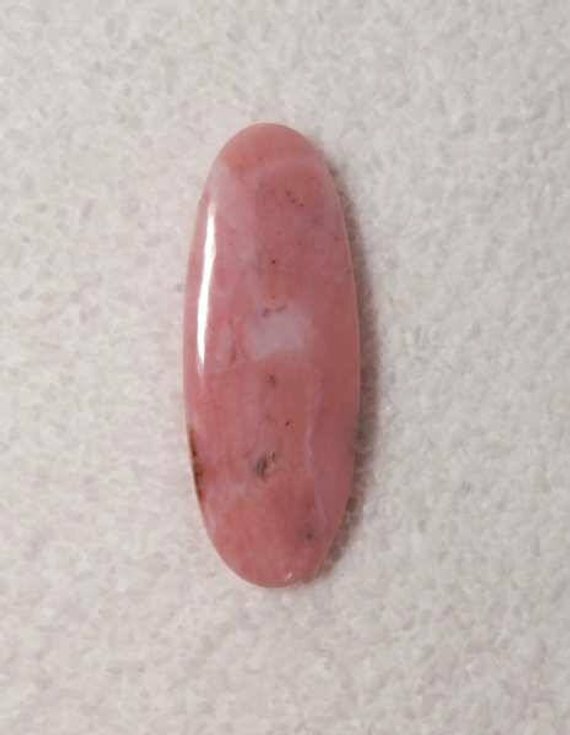 This large cab measures 49mm x 18.5mm x 6mm and weighs approx. 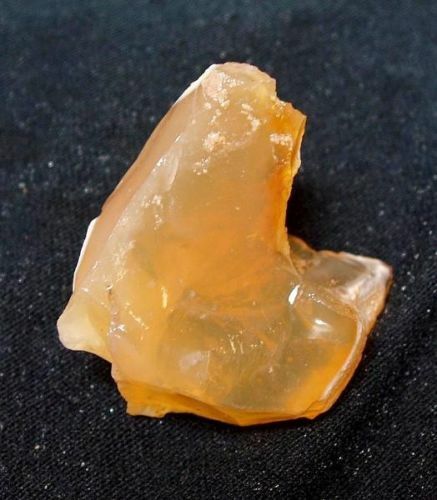 42 cts. Thank you for looking and as always, buy with confidence!